You’ve spent some time digging in to figure out what data science is really all about and how it creates value for your organization. Now comes the fun part: learning the buzzwords so that you can use them accurately and effectively. This list will be updated periodically with more data science buzzwords to learn, and we’ll show you how each element of data science creates value for your organization. Check back often for updates. If there’s a term you’d like us to define for you, send us your suggestions. While it sounds specific, algorithm is actually a vague term that refers to any mathematical equations that interact with each other in order to solve a specific problem. At its most basic, an algorithm is a set of instructions that explain (in data science contexts, explain to computers) how to do something. Logistic regression can be used to identify people most likely to respond to marketing campaigns, driving business efficiency through targeted investment. K-means clustering could help you identify naturally similar products or people based on different data points, directly affecting customer experience through product recommendations. The term artificial intelligence seems to be everywhere in data science conversations these days. In contemporary applications, AI is frequently used to describe machine learning, natural language processing, and myriad other techniques that, generally speaking, enable machines and computer programs to interpret inputs and learn from them. These techniques are, for example, how Siri interprets and responds to you or how chatbots anticipate your needs. If your team is throwing around the term “artificial intelligence,” chances are good your aims are not yet well defined. If your team is throwing this term around, chances are your aims are not yet well defined. If they can’t define their aims beyond a generic request for “artificial intelligence,” you need to spend more time defining where your value is coming from. You’ll almost always have to dive deeper into AI subsets (deep learning or cognitive computing, for example) before determining what methods are actually being used and how they’re creating value. Once you’ve figured out the more specific AI subset that will be useful for your application, the options for creating value can be numerous. Cultivating better customer experiences with AI can lead to better sales, more precise decision-making can drive business efficiency, and shoring up your products with more relevant interfaces can result in significant business growth. Much like the term artificial intelligence, the term big data is seemingly everywhere—and means different things to different people. Within the data science industry, big data generally refers to large data sets—typically at the terabyte, petabyte, or larger level— which is more and more often being used to reveal patterns and trends in behaviors and helping nearly every type of company make data-driven decisions. Big data can be organized nicely in rows and columns (for information like orders or customer transactions), or it can be unstructured text (such as comments or transcribed conversations). This term will likely continue to evolve, given its generic nature. What is big data now may not be classified as such in five to ten years. Decision trees can be simple or grow very large and get quite complex. Either way, a decision tree can help you understand your data, while helping you form an understanding of strategic opportunities. 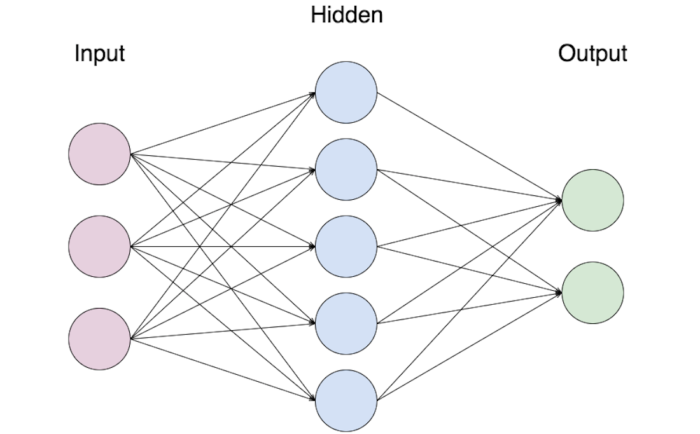 Deep learning models are neural networks that have a large number of “hidden layers.” (Basic neural networks could have one or two hidden layers, while a deep learning model could have as many as 150+.) Computational power requirements increase significantly as more hidden layers are added, but the depth of relationships that can be found improves significantly with the more layers you include. These models can be used to identify and classify images or solve complex business problems by understanding small and subtle relationships between inputs that humans are often incapable of intuitively seeing. Deep learning models can be used to solve complex business problems by understanding subtle relationships that humans are often incapable of intuitively seeing. Currently, deep learning is primarily used in image processing, which has become a key component of driverless car technology, medical research, and even assisting astronomers in better understanding distant galaxies and planets. This term has evolved quite a bit over the years. Generally speaking, heuristics are used to simplify decisions: a heuristic is an educated approximation used when classic methods are too slow or fail to come to a definitive answer. A heuristic can come in the form of using an expert’s judgement, or it can include using an alternate shortcut method. Usually, a heuristic is not an optimal solution, but one that’s deemed sufficient for the specific application when it’s difficult to find a better solution. Machine learning usually refers to a predictive model that is continuously getting updated as it’s fed more data. Historically, static predictive models were firmly set once they were developed. With machine learning approaches, new behavior is learned right as new information surfaces. As your business model evolves, your products are modified, and consumer sentiment about your products change, this predictive model takes those new data points into consideration. This creates immediate value for your business. With machine learning approaches, new behavior is learned right as new information surfaces–creating immediate value for your business. Natural language processing helps computers understand language and communicate with us more effectively. NLP involves using data to find ways to interpret conversational language effectively. Words have both independent and contextual meaning, and NLP helps machines understand the nuances of words in context. When words are clustered with others, the meaning of one phrase can be related to meanings of another phrase. Given the highly diverse ways people use language, standardizing toward a common interpreter to extract similar meaning can be a very valuable undertaking. Just ask Siri or Alexa. A type of machine learning, a neural network is a computer system modeled after neurons, or the human brain. Basically speaking, a neural network is a type of machine learning that allows a computer to learn based on data it is fed, imitating the neural network that our brains use in decision-making. The “nodes” in a neural network behave similarly to the neurons in our brain. As the network is fed more data, decision-making improves in quality and speed. A neural network has nodes and layers those nodes belong in. There are three types of layers: input layers, hidden layers, and output layers. 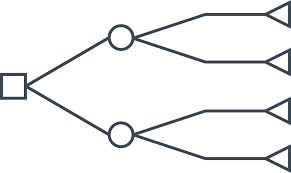 Calculations between the nodes allow the neural network to determine the relationships between the nodes. While quantum computing is a massive and emerging concept, it’s a buzzword that is getting more commonly heard in the industry. At the most basic level, quantum computing is a change in how computers operate. Historically, computers used bits and bytes, which offer only two options: a 1 or a 0. Computers have been limited by the combination of ones and zeros they can create. Quantum computing, on the other hand, is based upon quantum bits, or qubits, which offer many more than simply two options. This allows tasks to be completed more quickly and efficiently. Next time someone starts throwing around data science jargon, you’ll be well armed to either engage them in the conversation or call them on their BS! Both of these outcomes can be equally enjoyable. For more information on how Clearlink approaches data science, check out our Data Science Solutions page.